Following settings options are available for SMACROSS and can be set in the strategy configurator of the GUI or the strategies section of the config.js file. Using the BUY_METHOD and SELL_METHOD parameters you can combine different methods for buying and selling. This strategy page assumes both BUY_METHOD and SELL_METHOD are set to SMACROSS. Accepted values are all strategy names as listed here. Buy settings are the primary trigger for buy orders. 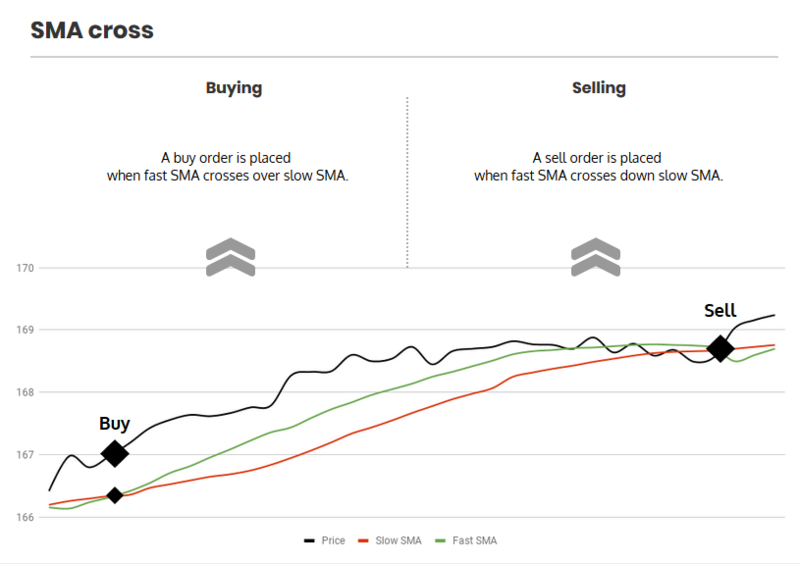 These parameters control the execution of buy orders when using SMACROSS as buy method. Sell settings are the primary trigger for sell orders. These parameters control the execution of sell orders when using SMACROSS as sell method. These settings have a direct effect on trading with SMACROSS. SLOW_SMA 2 Values: numerical, represents a number of periods. The number of periods used for calculating the slow SMA. FAST_SMA 1 Values: numerical, represents a number of periods. The number of periods used for calculating the fast SMA.